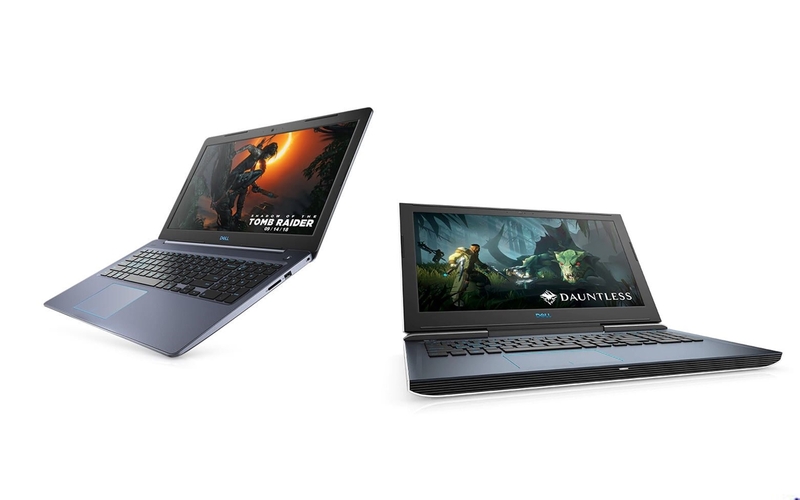 Dell India has launched two new gaming laptops in the G-series, the Dell G3 15 and Dell G7 15, in India. The gaming laptops come in configurations up to Core i7 processors. Both the laptops come with 1-year onsite service warranty and come bundled with 15 Months of McAfee Multi-Device Security subscription. 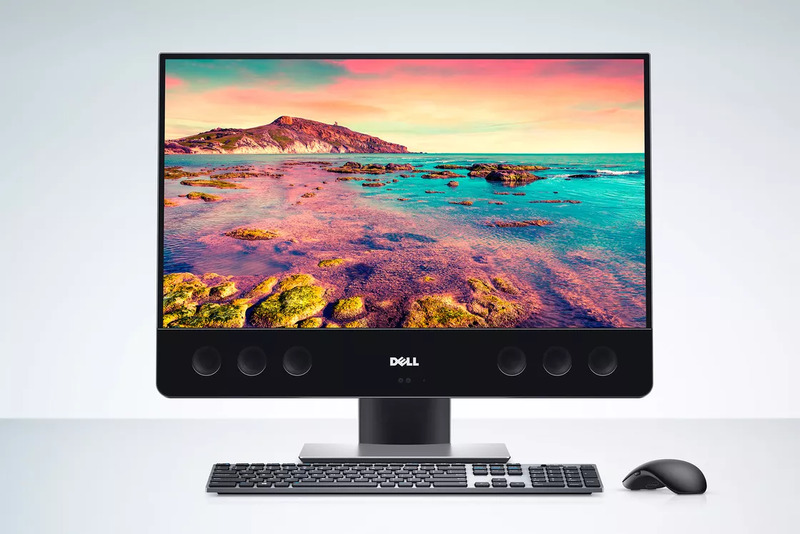 The Dell G3 15 comes with a 15.6-inch Full HD IPS LCD screen with a resolution of 1920×1080 pixels. The screen comes coated with an Anti-Glare coating. The laptop can be configured up to 8th Gen Hexa-core Intel Core i7 processors paired with up to 16 GB of DDR4 RAM clocked at 2666 MHz. The laptop comes with a dedicated graphics card, which can be configured up to a GeForce GTX 1050 Ti with 4 GB GDDR5 VRAM. For the storage, the G3 15 comes with up to 256 GB SSD for boot and 1 TB hard drive for your storing your gaming library or other files. The G3 15 comes with a full-size backlit spill-resistant keyboard with number pad. It also comes with an HD 720p webcam with Dual Array Digital microphones for video calls. The laptop also comes with MaxxAudio Pro powered dual front-firing speakers. As for connectivity, the laptop comes with a 2-in-1 SD / Micromedia card slot, 2 SuperSpeed USB 3.1 ports, 1 USB 3.1 Gen 1 port, a Power/DC-in Jack, 1 HDMI 2.0 port, a Gigabit Ethernet RJ-45 port, a Headphone/Mic audio port and a Noble Lock slot. The laptop also comes with Intel® Wireless 9462AC Card which offers dual-band 802.11ac Wi-Fi with MU/MIMO 1×1. The chipset comes with Bluetooth 5.0 support as well. Powering the laptop is a 56 WHr, which can be charged using the supplied 130 W AC Wall Adapter. The laptop weighs 2.53 kgs or 5.57 lbs. 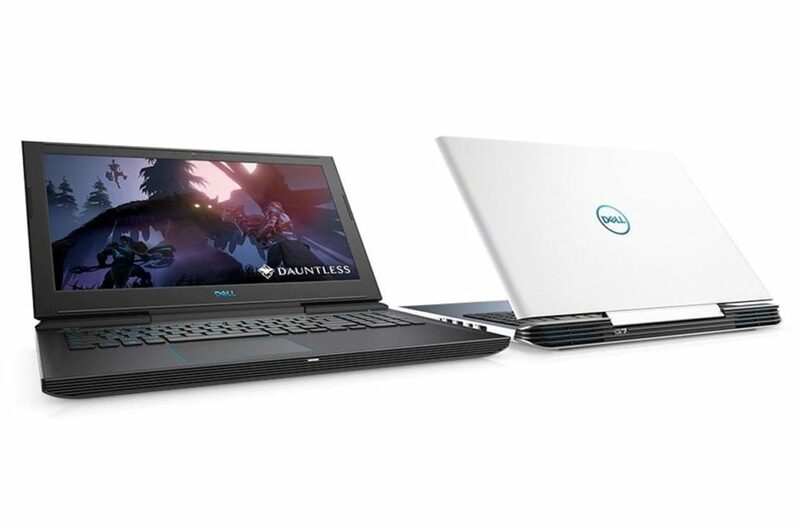 The Dell G3 15 comes in Alpine White and Licorice Black colors. The pricing of the laptop is set at INR 80,890 for the GTX 1050 with a core i5 processor, 8 GB RAM variant and INR 92,290 for the 8 GB RAM, i7 processor with GTX 1050 Ti model. The 16 GB RAM with 256 GB, SDD storage variant, goes for INR 1,05,390. 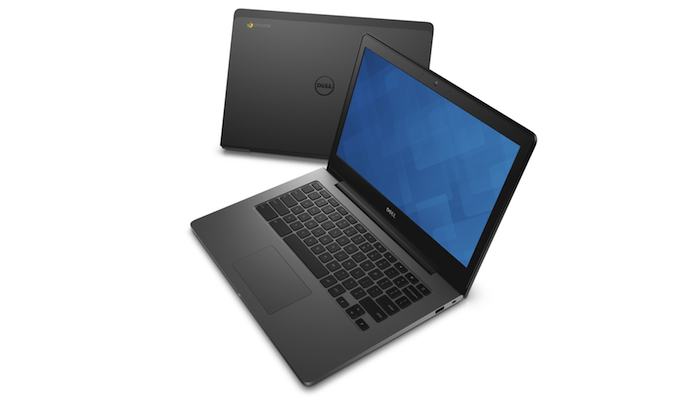 The laptop is available for purchase on dell.co.in from today and will be available in offline stores starting July 13th. The Dell G7 15 comes with a 15.6-inch Full HD IPS LCD screen with a resolution of 1920×1080 pixels. The screen comes coated with an Anti-Glare coating. The laptop comes only with 8th Gen Hexa-core Intel Core i7 processors paired with 16 GB of DDR4 RAM clocked at 2666 MHz. It comes with a dedicated GeForce GTX 1060 MaxQ graphics card with 6 GB GDDR5 VRAM. For the storage, it comes with 128 GB SSD for boot and 1 TB hard drive for your storing your gaming library or other files. The G7 15 comes with a standard full-size backlit spill-resistant keyboard with number pad. It also comes with an HD 720p webcam with Dual Array Digital microphones for video calls. It comes with two front-firing speakers powered by Waves MaxxAudio Pro. As for connectivity, the laptop comes with an HDMI 2.0 port, 3 SuperSpeed USB 3.1 Gen 1 Type-A ports (including 1 with PowerShare), 1 Thunderbolt™ 3 Port (USB 3.1 Gen 2 Type-C™ with support for 40 Gbps Thunderbolt and DisplayPort), 1 Noble lock slot, a 2-in-1 SD (UHS50) / MMC slot, an RJ-45 Ethernet port and a Headphone/Microphone audio jack. The laptop also comes with dual-band 802.11ac Wi-Fi with MU/MIMO 2×2 and Bluetooth 5.0 support as well. The same 56 WHr battery powers the G7 15 as the G3 15, but it comes with a bigger 180 W AC Wall Adapter, instead of the lower 130 W one provided with the latter. The laptop weighs 2.63 kgs or 5.82 lbs. 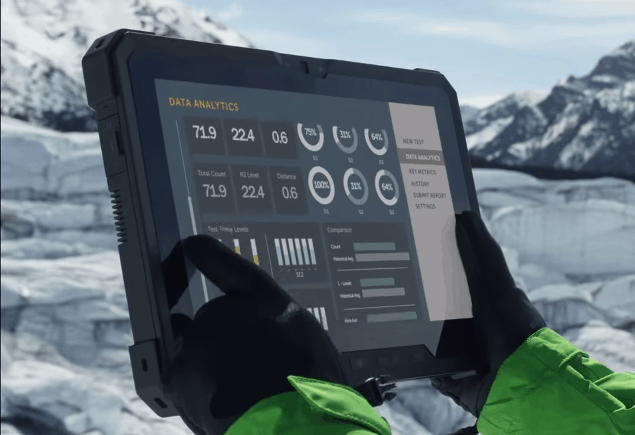 The Dell G7 15 comes in Alpine White and Licorice Black colors. 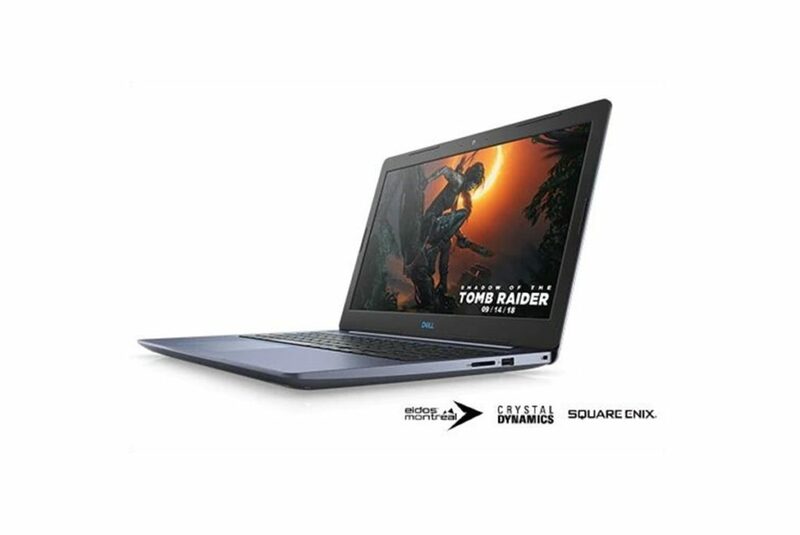 The pricing of the laptop is set at INR 1,24,990 The laptop is available for purchase on dell.co.in from today and will be available in offline stores starting July 13th.